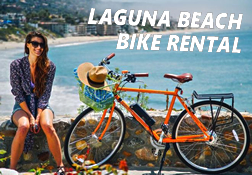 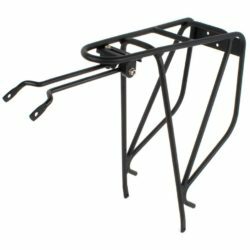 This Topeak rear bike rack for loaded touring is specifically designed for 29″ mountain bikes and larger volume 700C wheels. 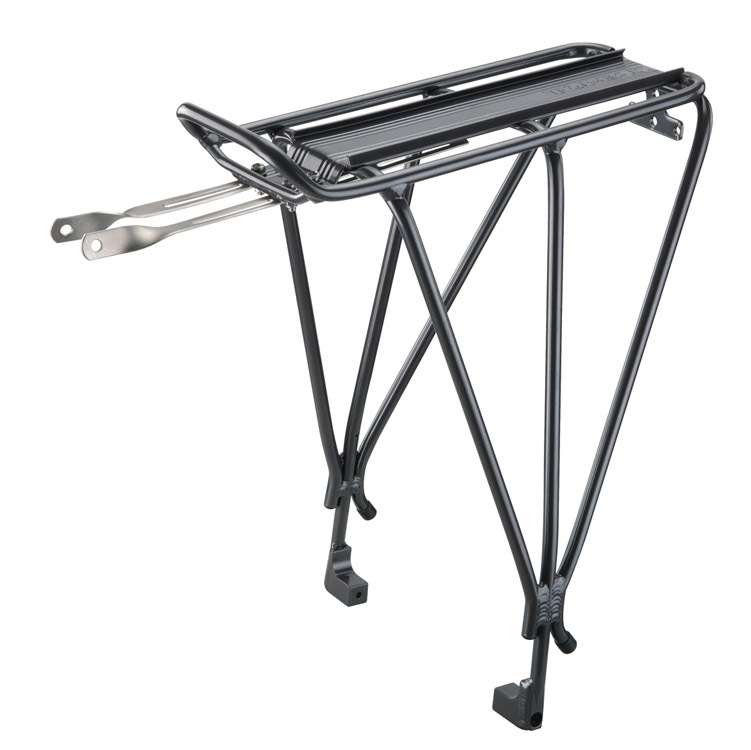 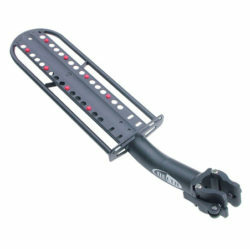 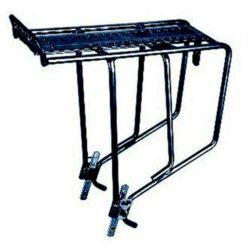 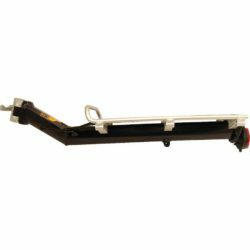 The black 6061 T-6 hollow aluminum rack is for bike frames equipped with disc brakes and works with all MTX Trunk Bags or MTX rear baskets. 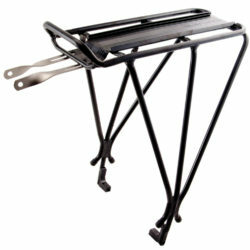 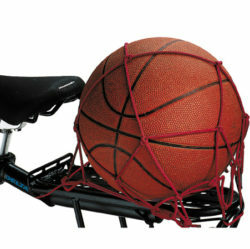 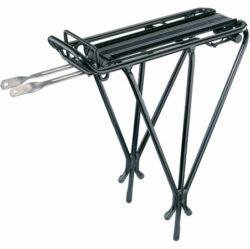 It weighs 680g and can hold up to 55 lbs.